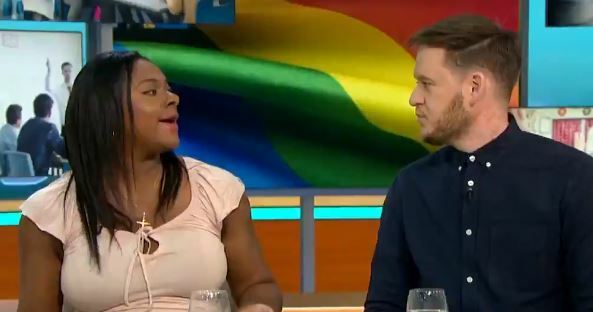 A mother has sparked controversy after making the bold claim that ‘being gay is a choice’, while on live TV to discuss having LGBT lessons in schools. 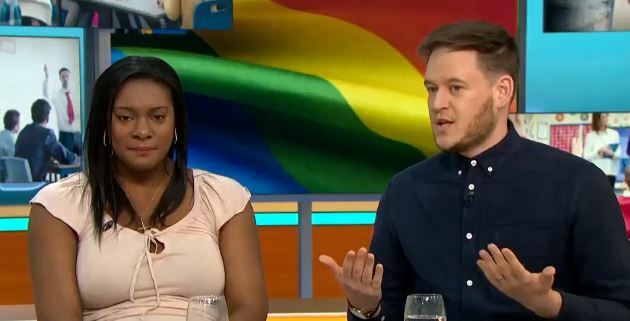 Izzy Montague appeared on ITV’s Good Morning Britain alongside dad-of-one Tom Cox, where the pair each shared their opinions on the topic. The mother argued it should be up to parents to teach their children about LGBT rights, and while Tom, who is gay, agreed it’s up to parents to choose how to raise their families, he argued restricting LGBT education would leave children ignorant to the real world. I think you’re doing your child a disservice by not allowing them to have that education; to see that families come in all shapes and sizes. We live in such a diverse time. The father explained we’re born with our sexual preference, saying ‘you are gay or you’re not’, but Izzy made her opinion on the matter clear as she shook her head while Tom was talking. I don’t agree that you’re born anything. Of course I believe it’s a choice. I made a choice of what I believe is right or wrong, I don’t remember ever thinking to myself ‘am I gay or am I straight?’. It’s something I have done based on my belief. So even if I was gay, I do believe based on my belief that I feel that a heterosexual relationship is a right course of action for me. No one has forced you to be in a gay relationship. This is a decision that you have made. 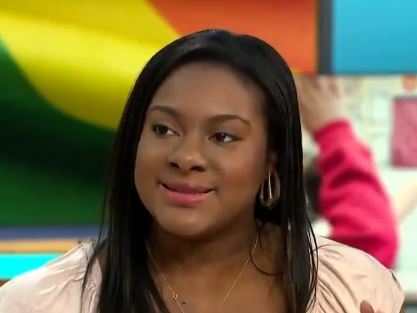 Understandably, Izzy’s comments were met with a lot of backlash on social media, with many viewers expressing their shock at her controversial opinion. This woman on #goodmorningbritain talking about how gay relationships are a choice and should not be taught to children, is the most frustrating thing on this planet!!!! @GMB this woman is archaic!!! She needs #LGBT educating never mind the kids. unbelievable!!! Izzy Montague is just scary to listen to. I thought we were past the belief that being gay is a choice. This is why we need to educate children on LGBT rights. Izzy’s comments about choosing sexual orientation is a prime example of the kind of thing children could be properly educated on in LGBT lessons. Do you think it should be taught in schools?